Main machine is sketch film paper,spare parts and cabinet will be loaded in wooden boxes. The machine equipped with automatic straightening cutting device. This device straighten and cut weft wire into fixed length. Then worker put those weft wires into hopper, the weft wires will fall automatically. Coil wires are put on the wire tray. Firstly, let coil wires through straightening device,this device will make the coil wire become straight. Then let coil wire through into warp hole, finally the entire welding process is automatic. The machine adopts synchronous and PLC control technique. The welding power comes from the spring. It is easily to control the welding pressure, more over ten times than the traditional hopper. 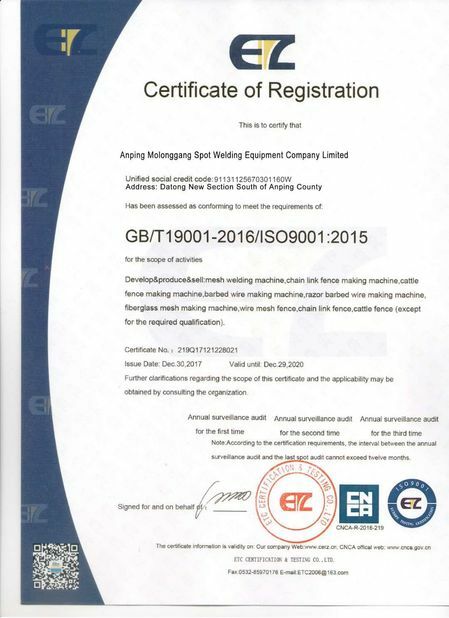 Welding time and sub-control welding adopt Japan, Sony digital control system which can be input to touch screen control panel to adjust the mesh size, and it can weld different size mesh on the same wire mesh panel. 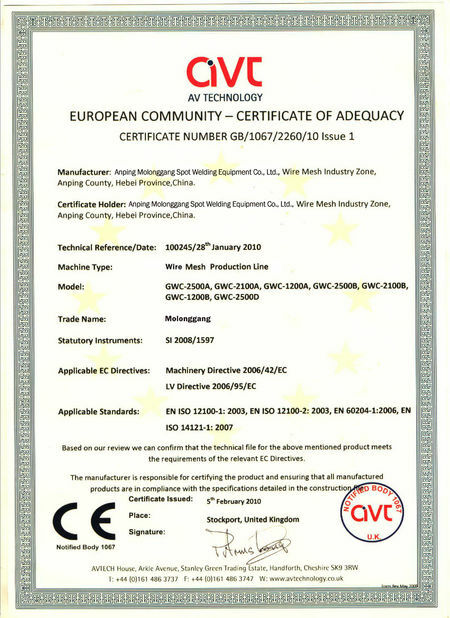 What’s more, the below electrodes installed water-cooling equipment, which reduce the loss and ensure welding quality. The mesh pulling system is controlled by servo motor, which makes the pulling mesh aperture more standard and accurate. 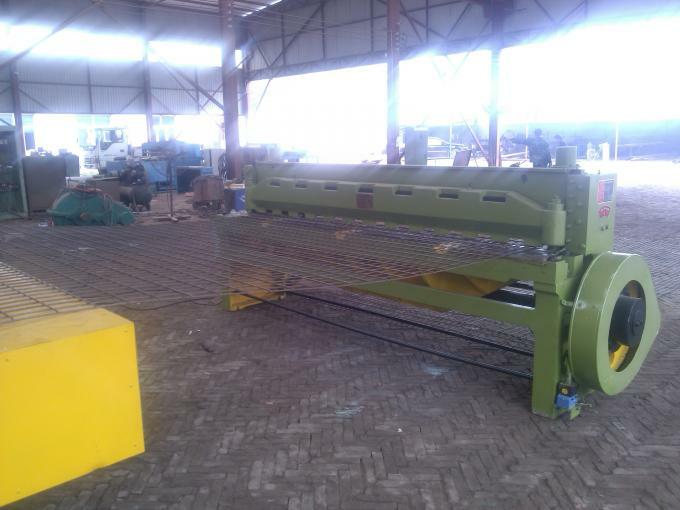 This automatic pulling device can be separated from the welded machine. 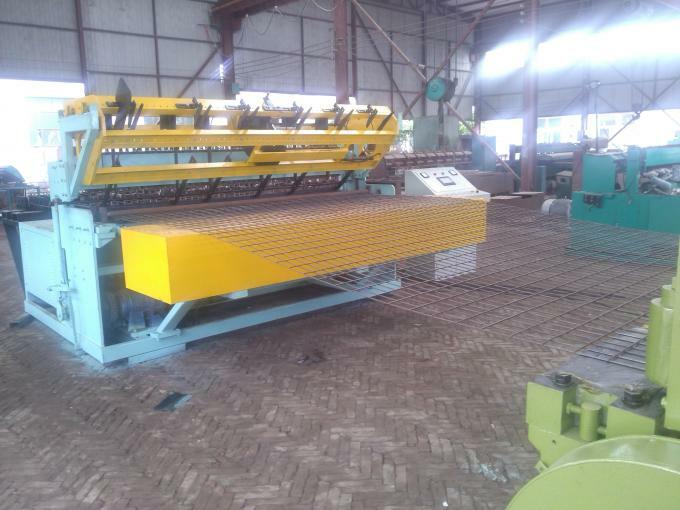 This machine can weld continuous wire mesh sheets. 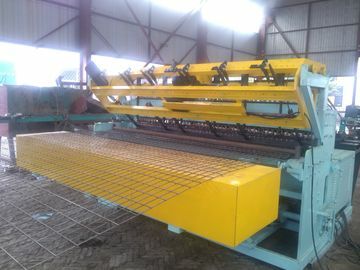 After the wire mesh sheets enter into the automatic cutting machine, the cutting machine can cut the wire mesh sheet into fixed-size according to you need.